H Tredwin & Son Ltd, Funeral Directors - an independent family owned and run business. 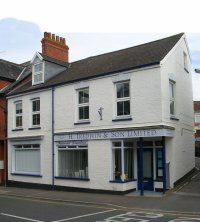 H Tredwin & Son was founded in 1860 by Harold Tredwin and has continued to help the bereaved and provide a caring, dignified and professional service for over 150 years. Originally builders and funeral directors - the company still offers handmade coffins reflecting the practical skills passed down through the generations. The company is now in its fifth generation run by Nick Tredwin and his wife Louise who provide a personal service with the emphasis on family values. Their son Harry is now learning the basic skills Nick learnt from his father Francis Tredwin. Nick's formal training was done through the NAFD (National Association of Funeral Directors). Nick & Louise are able to arrange a service to suit the individual of any denomination or a non-religious service. Our profession is steeped in tradition but we move with the times and are able to offer a modern approach when required. We offer 24 hour assistance, 365 days a year. We have our own chapel of rest which is set in beautiful surroundings and also spacious offices in the centre of Wellington. Families are welcome to visit our office to make arrangements but we are also happy to visit you in your own home to discuss your wishes. 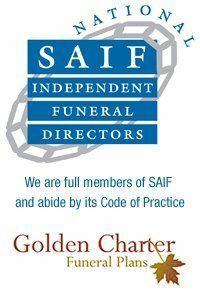 "We feel extremely privileged to be able to run our own business and deal with the bereaved and the deceased on a very personal level. We can offer this special caring service to every family as we are a small, independent establishment. We will guide you through every difficult step regarding funeral arrangements, hopefully helping to ease the pain and take some of the worry away at this difficult time." H Tredwin & Son Limited Independent Family Run Funeral Directors. The Funeral Directors in Wellington. Whatever the time, day or night please contact us at your time of need. We serve the community independently to ensure the personal touch.